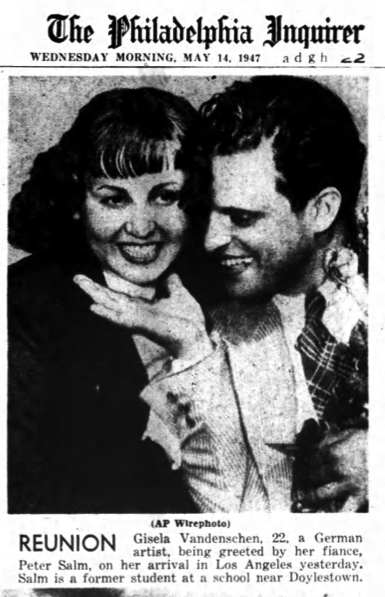 Peter Salm, engaged to marry German beauty, Gisela Vandenschen, identified himself May 8 as a Hollywood bookstore clerk and not the Millionaire New York newsman claimed he was. When Miss Vandenschen arrived in New York and told reporters she was on her way to marry Peter Salm of California, newsmen confused Salm with the son of the late Ludwig Salm and the former Millicent Rogers, Standard Oil heiress. Lamented Salm: "I hope we'll still be happy." And it turns out that Salm went to school in the area where I grew up—outside of Doylestown, PA. I found him mentioned in Men of the Soil, a 1942 year book of The National Farm School (now Delaware Valley College): "Pete also did a neat job as top literary man on the Gleaner [the student newspaper]. 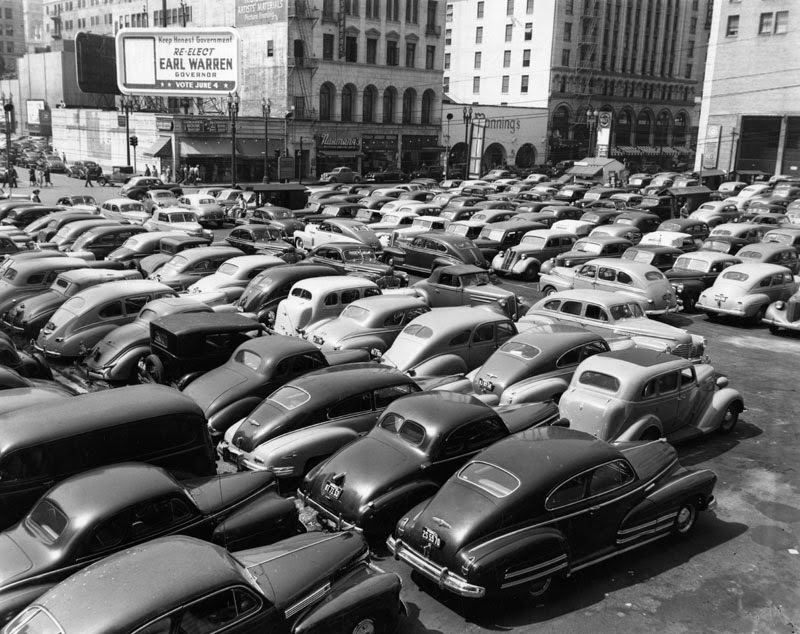 After one of Salm's thrillers appeared, many a spine had to be defrosted with a blow torch." Salm was born in German in 1919, his family fled to Italy in 1933 when Hitler came to power, and he moved to the US in 1938. He was at the Farm School for two years. I found his Army enlistment record. He joined the Army in 1942. Since he was fluent in German I expect that he probably served as an interpreter. According to this website he was in counterintelligence, After the war the GI Bill paid for him to go to UCLA. Here's his obituary in the New York Times. 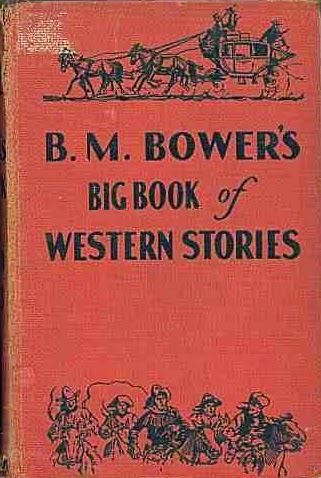 He became a college professor of German and literature later in life. Salm's obit says he was married to June Macy in 1958. I wonder what happened to Vandenschen. I guess she and Salm got divorced, or maybe she died? Maybe Vandenschen and Salm never actually got married? Maybe she returned to Germany, which would explain why I can't find anything about her in English. 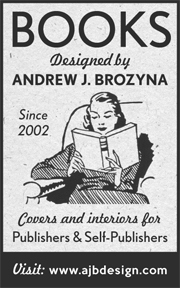 Book jacket designer Arthur Hawkins, Jr.
Arthur Hawkins, Jr. was a prolific book cover designer in the 1930s, 40s, and 50s. 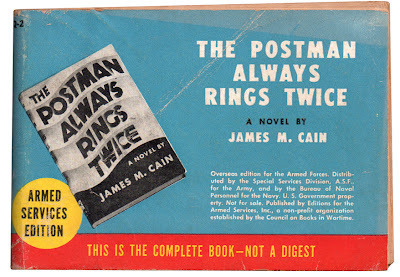 He designed the iconic jacket of The Postman Always Rings Twice (Knopf, 1934), which appears on the Armed Services Edition paperback below. 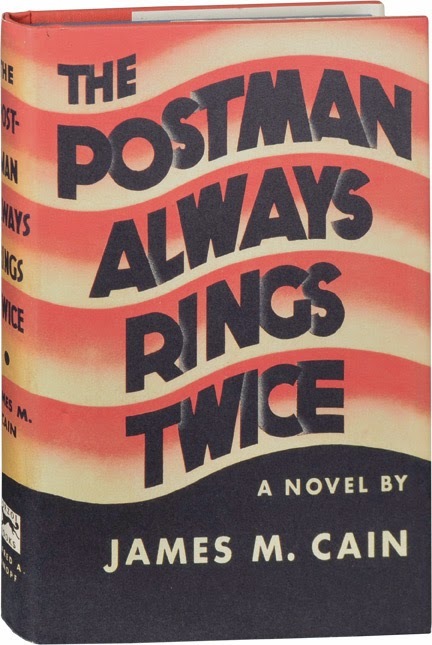 Hawkins was a member of the Book Jacket Designers Guild, which was formed in 1947 in reaction to the crass and sexual pulp covers that had proliferated in that time. The guild put on exhibitions of the best dustjackets and paperback covers as a way to promote quality design that supported fine literature. 1945 Armed Services Edition of The Postman Always Rings Twice. From my collection. 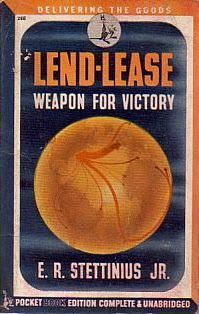 Hawkins specialized in jackets, but he also worked on paperback covers: Lend-Lease: Weapon for Victory (Pocket Books, 1944), Malice in Wonderland (Penguin, 1946), The Purple Onion Mystery (Penguin, 1947). 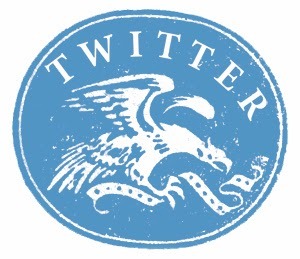 Steven Heller wrote a piece about Hawkins’ book cover work on the Print website. There is more info about Hawkins and the Book Jacket Guild in The Book of Paperbacks by Piet Schreuders. 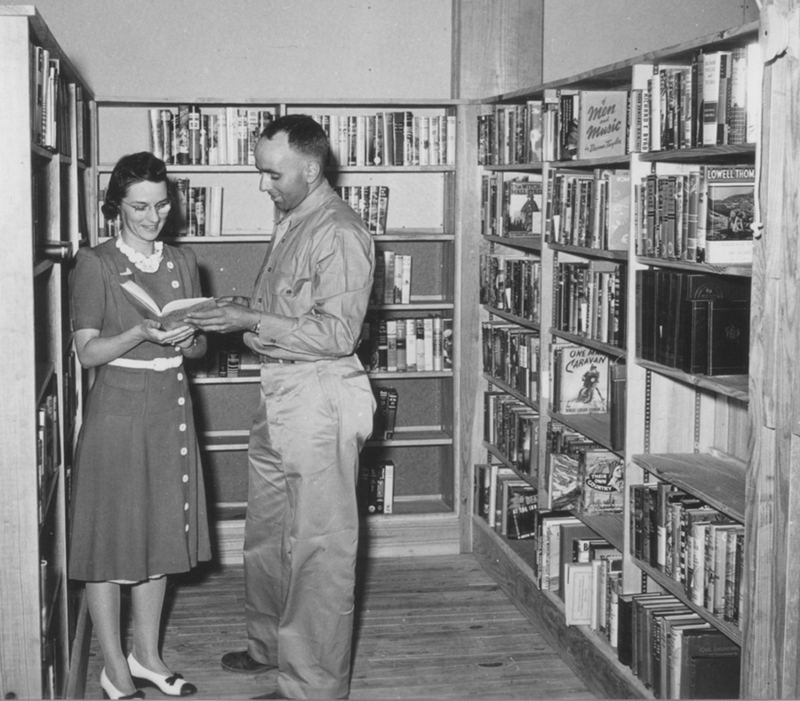 Librarian Miss Hatcher and Richard Bowers Oliver in the Service Club Library, Camp Wheeler, GA, 1941. From a series of photos taken by Army Private First Class Richard Bowers Oliver while stationed at Camp Wheeler, near Macon, Georgia. From the breadth of the subject matter, it appears that Oliver was an official camp photographer in the Public Relations Office, and the photos he took provide rare glimpses into the everyday life of an American Soldier during World War II. 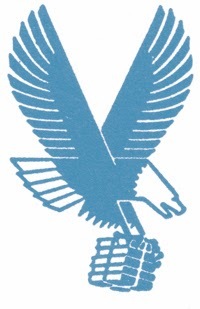 Camp Wheeler was used as an infantry replacement center from 1940–1945. At the height of the training effort, the camp contained 17,000 trainees and 3,000 officer personnel. Among units staged there was the 7th Infantry Division. 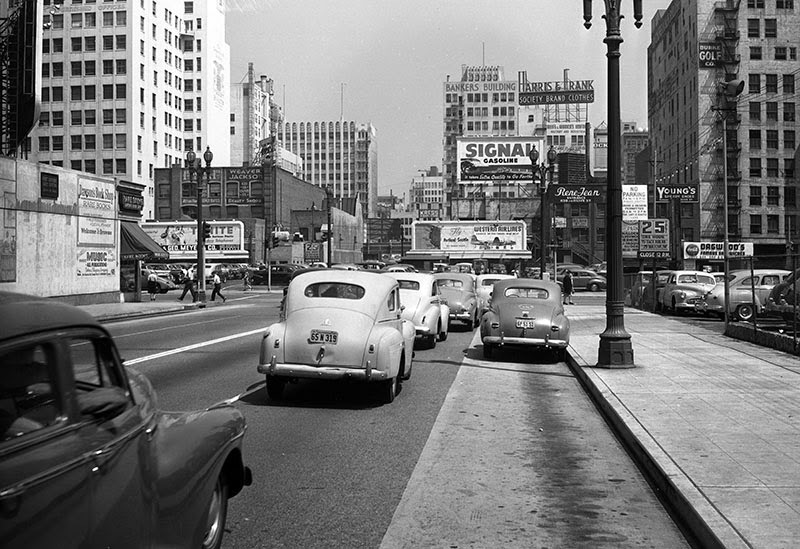 Richard Bowers Oliver was a news photographer, born in Dorchester, Massachusetts, May 19, 1913. He moved to Auburn Maine and resided at 25 Hampshire Street. He worked for the Lewiston Journal Newspaper but appears to have done a lot of freelance work as a news photographer. You can read more about the WWII Army Special Services Librarians in my earlier post. Storing your books under a homemade fish tank doesn't seem too wise. View larger. 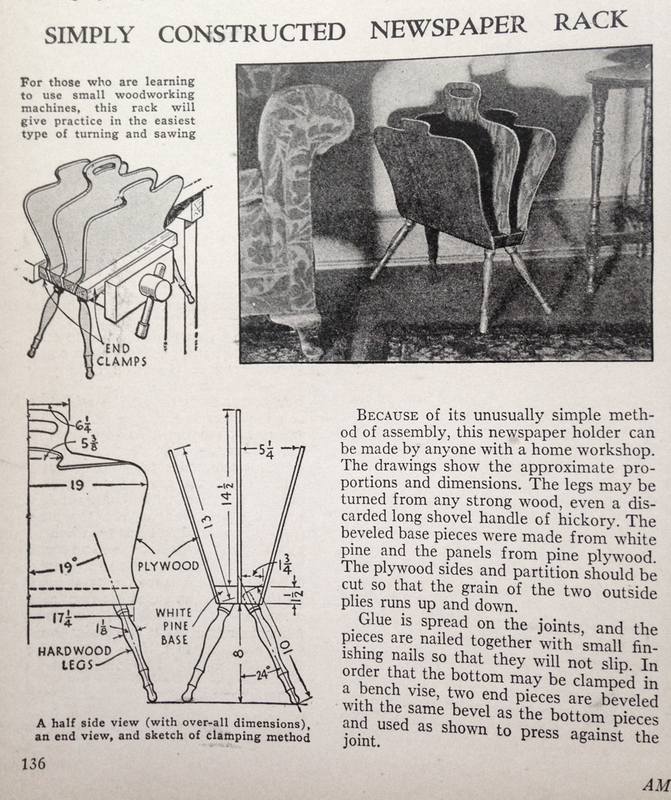 My great-grandpa used this tree stump guide to make a pair of lamps. View larger. 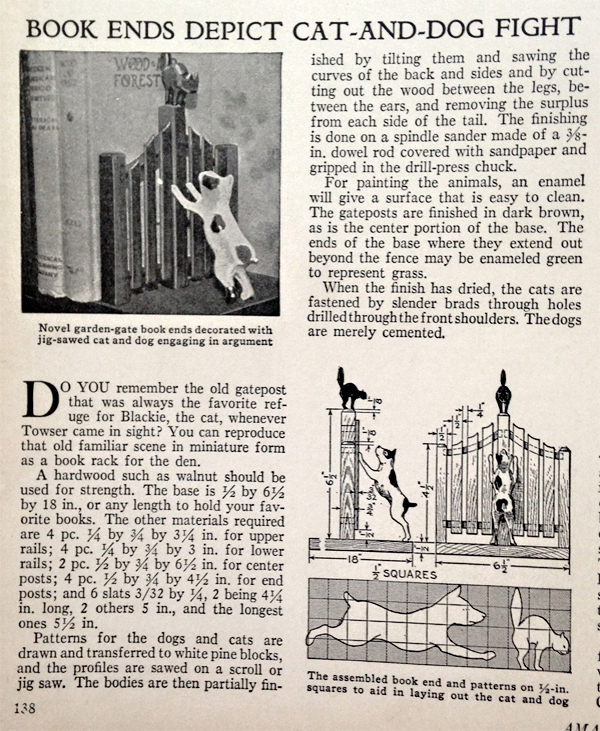 Novel garden-gate book end decorated with jig-saw cat and dog engaged in argument. View larger. 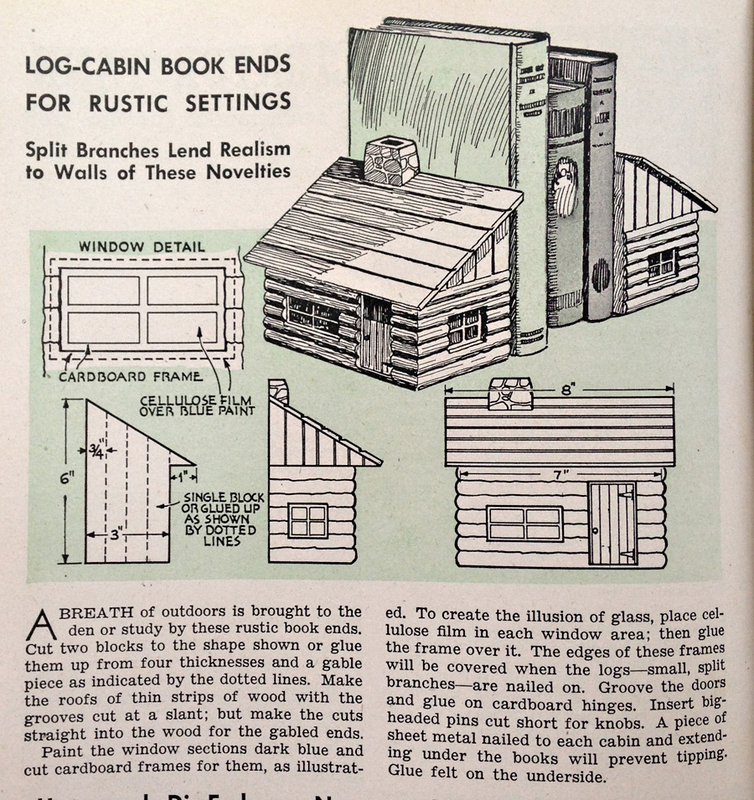 Log cabin book ends for rustic settings. View larger. 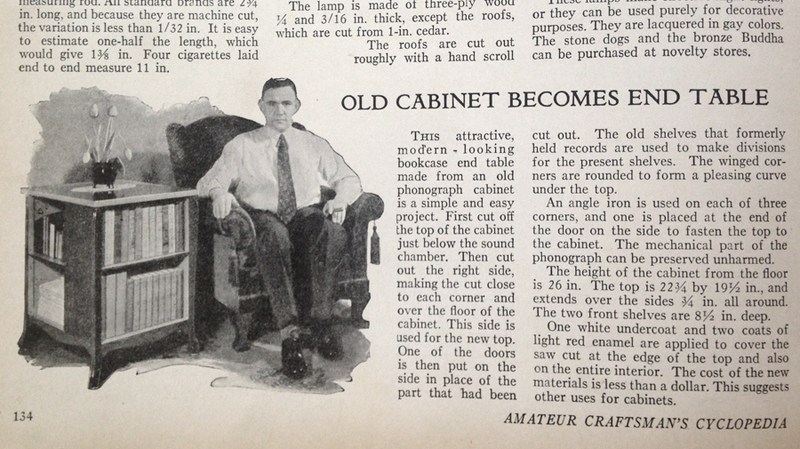 This guy doesn't seem too pleased with his end table. View larger. This newspaper rack isn't necessarily for books, but I'll allow it. View larger. 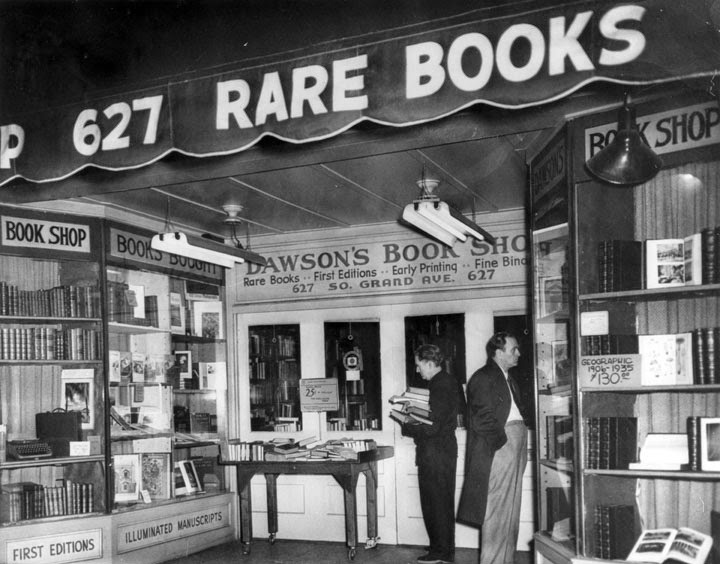 When Books Went to War is a WWII social history perfect for book lovers. 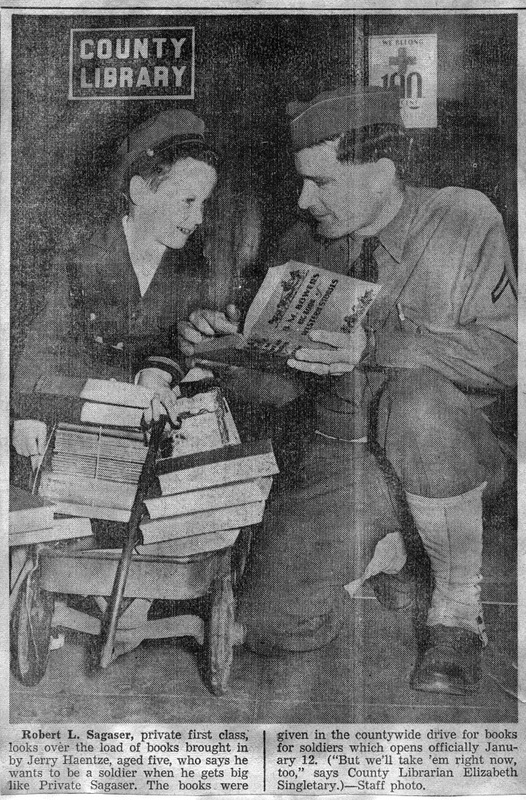 During the war years book publishers, libraries, and the American public responded to this great conflict by donating millions of free books to US troops across the world. 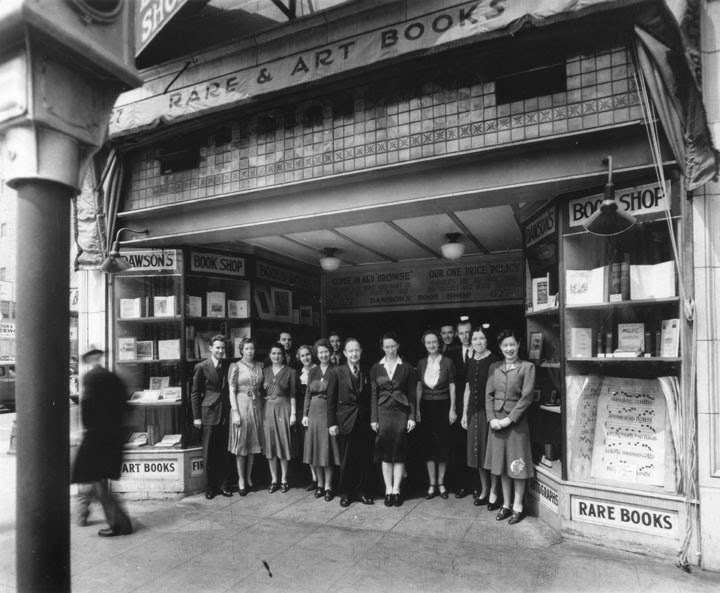 Early in the war the Victory Book Campaign collected millions of books in nation-wide book drives. 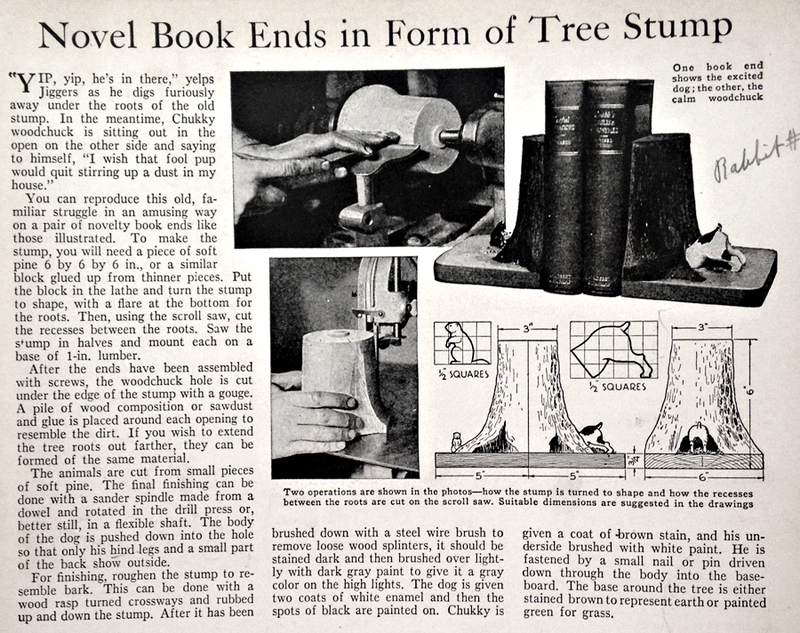 The Council on Books in Wartime, an association of publishers and booksellers, worked with the US government to produce millions of pocket-size paperback editions. Molly Guptill Manning explains how good books saved GIs from homesickness and fought Nazi ideology at the same time. Hitler's regime sought to conquer minds through book burnings, the destruction of European libraries, and the disbursement of propaganda. 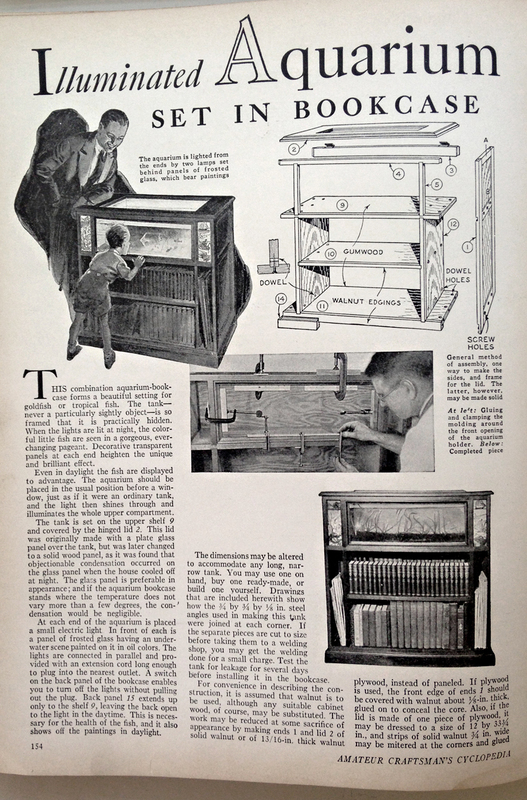 American publishers and librarians promoted nonfiction books as a way to inform this country's citizen soldiers. Thought-provoking novels displayed the freedom found in democratic society. 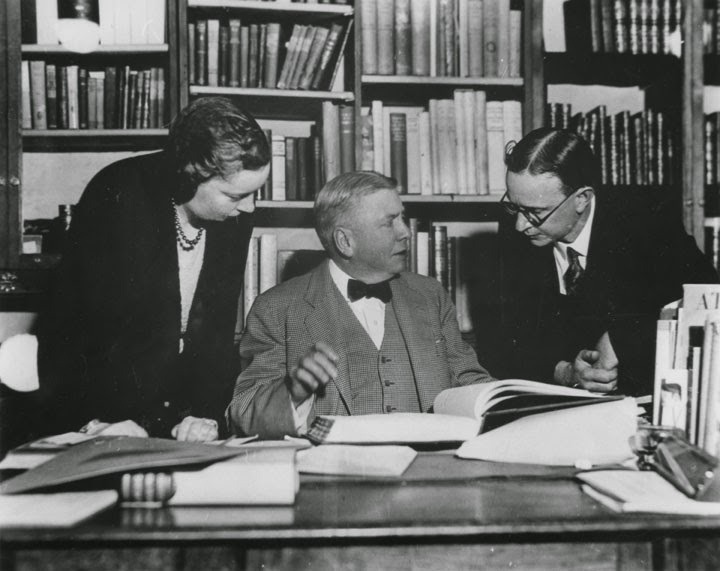 Indeed, the CBW was instrumental in combating censorship at home when Congress enacted a law limiting the kind of books sent to the troops. 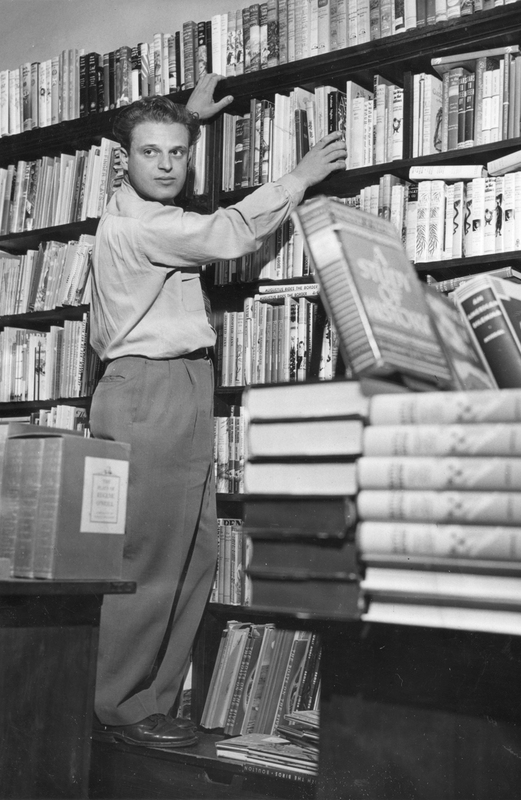 Reading books lifted the spirits of war-weary soldiers and sailors. This was a relief to the individual men, and the increase in morale improved the fighting capabilities of American forces overall. Manning shares numerous letters written by GIs who were beyond thankful to receive their Armed Services Editions. In this excellent read Manning reveals books' importance to the war effort, while conveying the personal feelings of those involved: the passion of publishers and librarians and the psychology of men at war.